Do your shopping at Le Marais and Champs-Elysees. 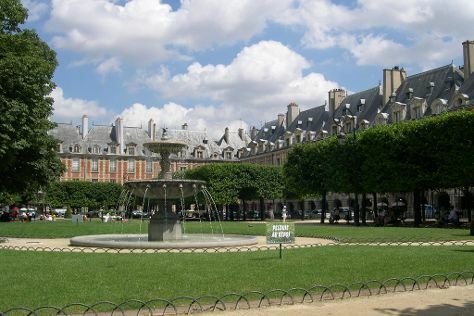 Discover out-of-the-way places like Chateau de Fontainebleau and Champagne Alain Mercier et Fils. You'll find plenty of places to visit near Paris: Brasserie de Meaux (in Meaux), Champagne Dechelle Henri et Fille (in Brasles) and Palace of Versailles (in Versailles). Next up on the itinerary: admire the masterpieces at Louvre Museum, admire the striking features of Arc de Triomphe, contemplate the long history of Eiffel Tower, and kick back and relax at Paris Plage. If you are flying in from United States, the closest major airports are Paris-Orly Airport, Charles de Gaulle International Airport and Paris Beauvais Tillé Airport. In September, plan for daily highs up to 70°F, and evening lows to 53°F. Wrap up your sightseeing on the 22nd (Sun) to allow time to travel back home.